In the first part of this interview I addressed delicate questions to my father regarding his childhood and youth, article of last 17 October. To be the son of the great champion, Gino Bartali, but also of a father often away from domestic intimacy, has not always been easy. After the matters of familiar life I would like to face other themes. 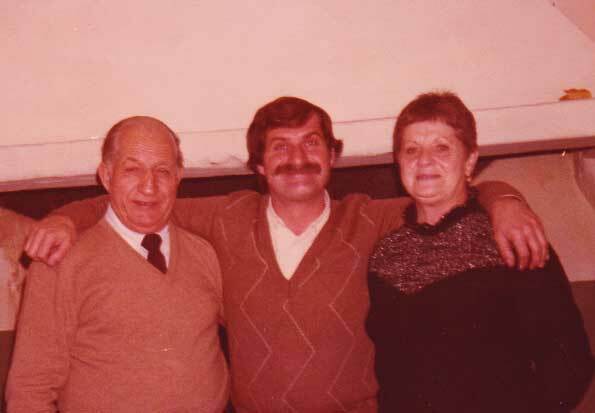 How and when have you come to know that grandfather Gino saved a lot of Jews during the Second World war? “My father Gino had accustomed us not to wonder about anything of what he had done, in his career and in his life. Everything that he had done and told us children, was determined by his high sense of altruism. Already during the Eighties, his humanitarian commitment that he lavished in helping a lot of Jews to save themselves from the nazi-fascist persecutions, emerged from journal articles. And not only, he helped political personalities persecuted by the regime. Moreover he secretly gave hospitality to various families, like Goldenberg family, in his apartements. Or better in the cellars of the houses that he had built for himself and his relatives in Florence. My father vaguely told us to have accomplished trainings to Assisi, without talking long on about how and why! When everything came definetely to the light through the press, Gino always minimized his commitment, defining a normal thing to help his neighbour. Everything started when Cardinal Elia dalla Costa asked him to collaborate. The Cardinal, at the time Archibishop of Florence, had confidence in Gino’s christian faith. He invited him to become useful as a “courier” to transport false documents destined to save a lot of lives in peril. Thus, without saying a word at home, I came to know about his noble commitment by articles and by his declarations. It seemed entirely inherent to his character, that’s why I didn’t wonder about his words. About all of this he has never wanted to give a lot of explanations, this is why he answered with a dry sentence that has made the tour of the world: Good is something you do, not something you talk about. Some medals are pinned on your soul , not to your jacket”. If grandfather Gino were still here, how would he react to all this great talk about his heroic enterprises? I ask, because my grandfather didn’t want to be called a hero.. The last question regards Gino Bartali Cyling Museum in Ponte a Ema. It has not been an initiative of my grandfather Gino to build the museum, but he was honoured and decided to give a lot of his personal effects and bicycles to the Association “Amici del Museo Gino Bartali”. What does the Museum represent for you, dad? “The Museum keeps important objects owned by my father Gino, for this reason it represents a part of him and of his life. Inside his track bicycle is present, the only one used by him in twenty years for the races on track. The other Bartali bicycle is the last one that he used in his career, repainted in orange when he bacame technical superintendent of the San Pellegrino team. The function of the Gino Bartali Museum should be that of making the town of Ponte a Ema more valued, where there is Gino’s birth house, right in front of the museum. Now the museum is administrated by the City of Florence, while the inside permanent collection is still Association owned. In my opinion, the present management could be improved (the opening is only 12 hours a week). Also to give the right merits to my father, who unknown to many, contributed to save hundreads of human lives. His story gave to all of us, also to the young people who have not directly followed his enterprises, a great example of humanity. Translated from the Itlian by Eleonora Spada o.c.d.s. This web site was born from my passion for the bicycle, a family passion that has been handed down by my grandfather Gino Bartali, and was born from the stories of his legendary challenges that have written history pages, and influenced some pages of my life!